Mostly economics today, though some of it is also about the interent. 1. Noah Smith on Shinzo Abe. Noahpinion present a summary report card on the Abenomics ‘revolution’ in Japan. US cities have a habit of being autophagic; strong, thriving metropoli which get into self-amplifying feedback loops of white flight, educational failure, corruption and despair. Given that systemic racism and deliberate policies of white flight and ghettoization predate the death of the auto industry by some 40 years, one might suspect that what really broke Detroit was WASP paranoia and segregationist sentiment, not economics or gobal competition. EconoSpeak gets in on the fun of pointing out that the UK Prime Minister is either a) incompetent or b) dishonest, and has painted himself into such a corner that his own Office of Budget Responsibility had to publicly call him out for lying about their findings. The Economist are having an essay forum looking at how one can study and assess the consumer surplus generated by the internet, or in more normal language, what is it actualy worth? When Richard Nixon declared war on drugs in 1971, Anslinger had been gone from the FBN for nearly ten years, but his legacy was alive and well. The Iron Law still held, though by that time the category of Them had been broadened to include anti-war protesters, civil rights protesters, hippies, teenagers and anyone else who troubled right-wing America. 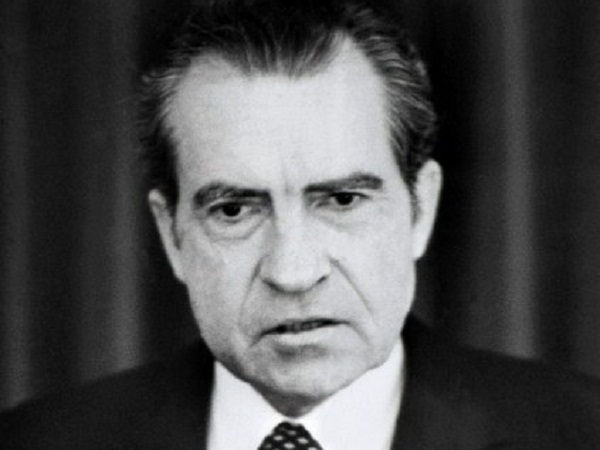 One of Nixon’s first acts in prosecuting his new war was to recruit the National Commission on Marihuana and Drug Abuse. Typical of Nixon, he did the thing Anslinger had always had the sense not to do; he got some guys together who knew some stuff and instructed them to look at the evidence and tell him what it said. The result rather surprised him. The use of drugs is not in itself an irresponsible act. Medical and scientific uses serve important individual and social needs and are often essential to our physical and mental well-being. Further, the use of drugs for pleasure or other non-medical purposes is not inherently irresponsible. [Anslinger’s] policy grew out of a distorted and greatly exaggerated concept of the drug’s ordinary effects upon the individual and the society. On the basis of information then available, marihuana was not adequately distinguished from other problem drugs and was assumed to be as harmful as the others. The increased incidence of use, intensive scientific reevaluation, and the spread of use to the middle and upper socioeconomic groups have brought about the informal adoption of a modified social policy. On the basis of our opinion surveys and our empirical studies of law enforcement behavior, we are convinced that officialdom and the public are no longer as punitive toward marihuana use as they once were. Law enforcement policy, both at the Federal and State levels, implicitly recognizes that elimination is impossible at this time. The active attempt to suppress all marihuana use has been replaced by an effort to keep it within reasonable bounds. Yet because this policy still reflects a view that marihuana smoking is itself destructive enough to justify punitive action against the user, we believe it is an inappropriate social response. Let that one fester a while. The US government has known since year one of the War on Drugs that the whole shooting match is a waste of time. As it turns out, Nixon had a lot on his mind in 1972, and pretty much continued to be distracted all the way through the Watergate scandal. He did find time to reorganise Federal jurisdiction, folding various smaller agencies into the FBN and renaming the result the DEA. When Ford arrived he had pre-occupations of his own, and no better idea what to do with the NCMDA report than Nixon had, so he stuck it in a drawer and ignored it. The newly-minted war rambled on ineffectively through the ’70s. Finally a Democrat got into the White House. By 1978 a number of states had passed laws decriminalising, legalising, or establishing medical uses for cannabis. Carter supported the push towards liberalising Federal laws, and that turned out to be a tragic decision. The Carter Presidency was one of the worst ever, incompetent, ineffective and woefully unpopular. His association with drug liberalisation ended serious attempts by the Democratic party to engage with the issue at all for twenty years. His disastrous term led to the resurgence of the right and Nancy Reagan’s escalation of the War on Drugs. The First Lady’s flagship campaigns, Just Say No and D.A.R.E., are matched only by ‘Stranger Danger’ in the annals of spectacularly effective and equally misguided public information campaigns. The zero tolerance policies that accompanied them cemented for another two decades the popular canards that cannabis was a gateway drug, which it isn’t, and that it fries your brain, which it doesn’t. Like the Hearst campaigns for Harry Anslinger, the Reagans’ approach to cannabis was pure FUD, but they were clever enough to treat the fear and uncertainty as givens. That allowed them to concentrate on socially legitimizing and sponsoring the doubt . The campaigns didn’t work (in that usage didn’t decrease below long-term trends), but they did effectively end any chance at a balanced public discourse for an entire generation. In the early ’90s the culture wars were re-ignited by the zealots of the Gingrich Revolution, and the stage was set for the grotesque geo-political disaster that attended America’s confrontation with the Colombian cartels and all of the sequels we have lived through since. But, as the NCMDA predicted in 1972, marijuana wasn’t going anywhere. Quietly, steadily, privately, during the two decades since 1990, the world has changed under the prohibitionists feet. One of the most significant factors in that steady and progressive change in public opinion was the advent of the Internet. Above all else, and from its earliest days, the effect of the Internet has been to put hard information, previously accessible only by elites, into the hands of the commons. For the first time, thousands of young people raised in a culture of inquiry had access to actual data about cannabis, and what they found was that their parents and grand-parents had been lying to them. The last few years have seen by far the most significant progress since the late 1970s. Eighteen US states have legalised medical marijuana, and another five are likely to join them during this electoral term. A hundred and forty-nine dignitaries concluded on behalf of the United Nations that the War on Drugs is a failure and should be replaced by rational policy. Sitting Heads of State in three Latin American countries, Switzerland, Portugal and Poland have called for or enacted decriminalisation policies. Two US States have legalised recreational use of cannabis. And at last, Hearst’s dead hand has lifted from the muzzles of the media, and we’re just begining to see an informed and rational public debate about the issue. This nation tries very had to instill in its children independence, curiosity and a healthy self-assurance. These qualities guarantee a dynamic, progressive society. Where drugs are concerned, however, we have relied generally on authoritarianism and on obedience. Drug education has generally been characterized by overemphasis of scare tactics. Some segments of the population have been reluctant to inform for fear of arousing curiosity in young minds. Where drugs are concerned, young people are simply supposed to nod and obey. […] The Commission feels that the criminalization of possession of marihuana for personal use is socially self-defeating. This is a finding which has been reproduced recently, in work by Professor Nutt at Imperial College, London. I possibly need to unpack that a bit. Remember the infamous commercial? “This is your brain…” As Bill Hicks points out, that’s FUD. There is no data here, no information; no content, in fact, at all. It’s just fear, uncertainty and doubt. Compare and contrast with public awareness campaigns about actual dangerous things: the Green Cross Code, AIDS in the late 80s in the UK, or the unpleasant images on cigatette packets today. The Reagan-era campaigns were very, very clever in simply assuming marijuana was damaging. They presented no arguments which could be disputed or disproved, or even engaged with. They used very powerful, very simple imagery and then painted doubt (Dare to be different…) as a social good. This is enormously clever because it disguises something false (cannabis is bad) behind something true (thinking for yourself is good). Never mind that any kid who D.A.R.E.’d to be different was actually letting Nancy Reagan think for them.